This is not pure fiction. The US Defense Department's Advanced Research Project Agency - DARPA - has an ambitious research program well underway to develop flying, swarming, killer drone aircraft. It's "The Gremlin Drone Airforce" for national security and military protection in time of war. 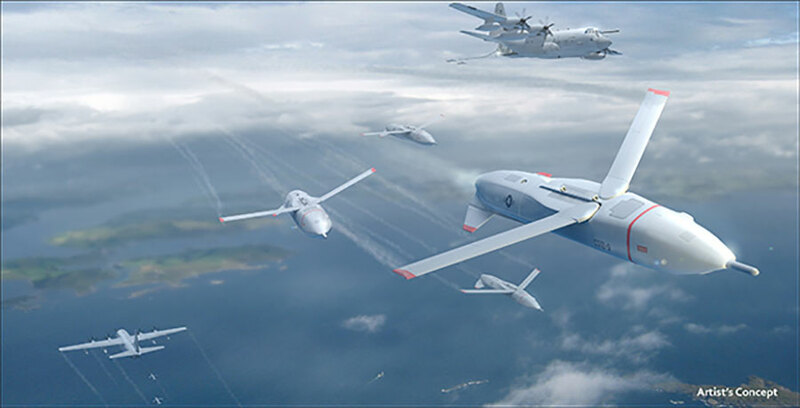 DARPA's program is called The Gremlins UAS, unmanned aircraft systems. The concept is to launch swarms of killer drone aircraft mid-air from large aircraft carriers out of range of enemy forces. When they complete their mission, The Gremlins would be retrieved by C-130 transport planes. They would go back to base and be prepared for more combat missions. DARPA and the US Military intend to test the Gremlins in 2019. The drones would swarm together to carry out missions on the frontlines. Each drone has different capabilities. Their tasks are mission critical including intelligence, surveillance and reconnaissance. They'll be re-used up to 20 times. If The Gremlins UAS takes off, there will be many benefits. The Gremlins are unmanned drone aircraft. Thus, saving the lives of combat pilots by putting them out of harms' way. They are also smaller than standard combat aircraft and cheaper to manufacture. DARPA officials believe combat aircraft are increasingly more expensive and vulnerable. Currently Dynetics is making the drone aircraft prototype for DARPA. The company will develop a full scale technology demonstration system that will be test flown in 2019. DARPA's hope is the cheaper drone aircraft will overwhelm increasingly sophisticated enemy forces and defenses.